Today marks my 6 month anniversary in Denmark, and I can’t believe how quickly the time is passing. I had absolutely no idea what I was getting myself into back in October, and to be honest, I continue to have no idea what I’m doing. I’m still waiting for my residency paperwork to go through, so I can’t enjoy the benefits that come with it. This means that I am unable to leave Denmark, unable to enroll in the free Danish classes, and unable to work. The honest answer is: without my residency and work permits…not much. I moved here to be with my boyfriend, the Viking. He is Danish and has been living in Copenhagen for years, so he has quite the well-established life here. I, on the other hand, left my own semi-well-established life back in the US. This time last year, I was a Philadelphian with a fairly busy schedule. It may not have been the most glamorous, but it was mine. I was a full time nanny for two wonderful little girls, the captain of the Matzah Ballers (a team in the local bocce league), a member of an all-female fantasy football league, an avid Netflix enthusiast, and a textbook Phillies and Flyers fan. But I chose to leave my comfort zone completely. Now, for the first time in my almost-27 years, I am a foreigner. I’ve lived my entire life in the good ol’ US of A. I am a very proud, first generation American. I am the only child of two hardworking immigrants who (after 30+ years) are now both US citizens themselves. Naturally, I thanked them by moving to a entirely different continent. To be fair, my parents weren’t really surprised when I told them. My mother’s exact words were, “What am I going to do? Stop you from doing exactly the same thing I did at your age?” Then, she added, “Promise me you won’t act like such an American over there.” I didn’t really know how to respond to that. What did she mean? In my mind, I’m just a standard, uninteresting person who happened to live in the States. But, six months into my stay in Denmark, I’ve come to realize that my mother was trying to warn me about an undeniable truth. I am basically just a walking American stereotype. It all started to dawn on me back in November when I complained about how “small” the appliances where in my new Copenhagen apartment. In my eyes, the refrigerator was weirdly narrow, and the oven was laughably small. I was convinced that our Thanksgiving turkey (which was kind of difficult to find by the way) was never going to fit in the teeny, tiny oven in our Danish kitchen. After a few minutes of listening to me moan and groan about it, the Viking said, “You sound so American right now. Why does everything have to be so big?” In that moment, the bubble of Americana, in which I was comfortably residing, popped. Ever since then, I’ve been taking note of how the relocation has changed my routine. I spend my days desperately searching the grocery store for familiar foods, getting completely lost while walking my dog, and finding ways to stream American news, sports, and tv. After almost a decade in Philadelphia, I’m the new girl in town, and I’m realizing that it’s going to take a little more than six months to adjust. So, of course my mother was right. No matter what I do, I won’t be able to change the fact that where I am from makes up a good chunk of who I am. My characteristics that seem ordinary back home tend to set me apart in this neck of the woods, and that’s not a bad thing. I’m embracing all those things about myself. I talk way too loudly, I am overly friendly with strangers, I call football by its American name of soccer, I have emotional relationship with peanut butter, and I have a (mostly) accidental ignorance about the world outside the 50 states. I am the stereotypical American, and because of that, I get to explore this beautiful country with a slightly different perspective. Even with the occasional loneliness and homesickness (not to mention the UNGODLY time difference that keeps me from watching my sports live), I am very lucky to have the opportunity to live abroad and share my experiences in this blog. But if anyone is reading this, I hope you enjoy my adventures as The Stereotypical American! Angie, I did this same thing when we lived abroad. I kept a blog for the better part of three years over there. You will cherish this documentation one day! I’m so proud of you, and just know that what you are doing takes guts and you will be a better person for it (even though you are already awesome!). Can’t wait to hear about your adventure. Enjoy every minute!! Omg Teddy! I am really enjoying being here. It’s such a shame that our time in Europe didn’t overlap. I would have loved to visit you. I keep seeing your pictures on facebook and instagram. Your family is the absolute cutest! I hope you guys are doing great! I moved to Uruguay about a year and a half ago and I know exactly how you feel. All I can say is just wait until you can actually get back to the States for a visit. Even though right now you miss it and you’re set in your ways, you’ll realize that Denmark has changed you. Just in the little bit you’ve been there it has left an everlasting impression. I remember being back there and wondering, “Why are the cars so big? Does one really need 80 different types and brands of cereal? Isn’t $20.00 for a piece of meat just a little bit too expensive?” It’s small things I used to complain about missing but after being gone for just a year I was ready to come back to my much simpler and quieter life. I hope you keep writing and documenting your journey. Good luck! I’m planning to go back in the summer, and I’m really looking forward to seeing my home through slightly different eyes. Just the other day I was cleaning out my purse, and two dimes fell out. I’m so used to Danish money now that the dimes looked so weird to me! I hope you’re enjoying Uruguay! That country has been on my bucket list for AGES! Babes, go YOU!!! I for one raucously applaud you for stepping out of your comfort zone & embracing the unknown. Yes, there’s home-sickness & all that other stuff, & it takes a year to arrive & another year at least to feel at home, & to stop hunting for familiar food. Rock that limbo space you’re in!! As expats, we get to truly understand that life itself is limbo. Every state, stage, place & relationship exists in liminal moments. I definitely thought that 6 months in I would be well adjusted to Denmark and be able to speak basic Danish without embarassing myself. I was so so so wrong about that! I’m totally ok with the fact that this “limbo” is going to last a little longer. I’m just glad to know I’m not alone in all of this! Congrats on 6 months! We are only a few weeks behind you as we moved to Copenhagen mid-November. I appreciate your perspective and agree with all of it – we get peanut butter care packages! Remember that most stereotypical Americans wouldn’t have left the comfort of all that familiar and that makes you unique – here AND there! Cheers! It’s really nice to know that I’m not the only new girl in town! I managed to find Skippy peanut butter here, but I’d have to ask my Danish boyfriend which store it was at because I totally forgot. I hope you’re enjoying Copenhagen as much as I am, and I hope you’re healing up well! I LOVE your blog and instagram. 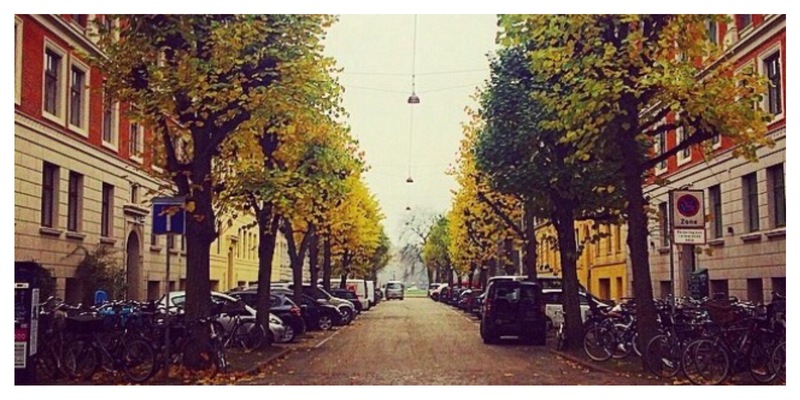 If you’re ever in Nørrebro, feel free to say hi! I love the description of your American self and can 100% relate. Peanut butter stocks my cupboards. My fiance is constantly commenting on my loud talking. I am WAY too friendly with strangers, especially store employees. I practically shared my entire life story with a cashier earlier in the week when I was on the search for balloons for my friend’s 21st birthday. It’s a funny journey of discovering how our surroundings molded who we are. Found you through Twitter and I’ve been an expat brat my whole life (lived in the US the most amount of time in various states) but even when I moved myself to London I was definitely the “stereotypical American” and not so much when I moved Singapore, the English-ness rubbed off on me! Rule of thumb is that it usually takes a couple of years to fully settle in!